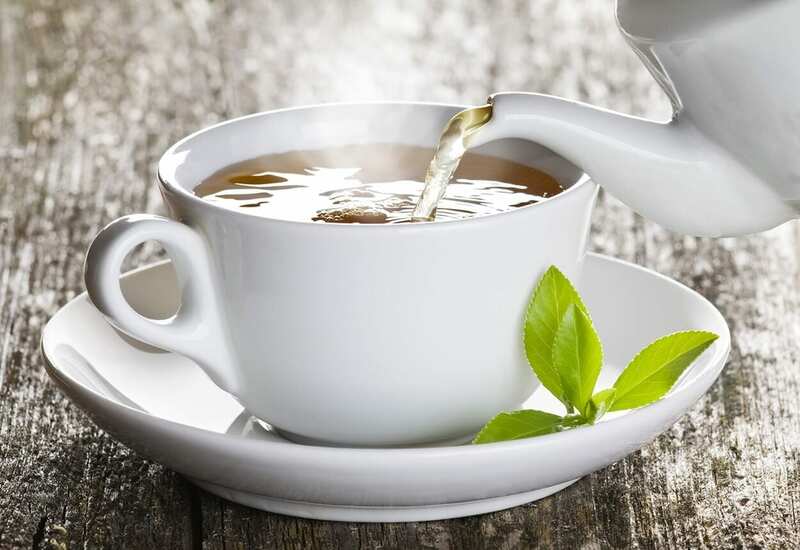 When it comes to choosing your brand of tea, make sure it’s a well-sourced product, preferably organic, containing high quality natural ingredients. Alternatively, you can home-grow your own herbs, it doesn’t get more locally-fresh or organic than that! If you are going to buy from the store, avoid teas with added flavours, fragrances or essential oils. A lot of us love our usual black brew, and by all means, don’t give that up entirely, but replacing what would be a daily soda, coffee or black tea at least once a day will make a noticeable difference. 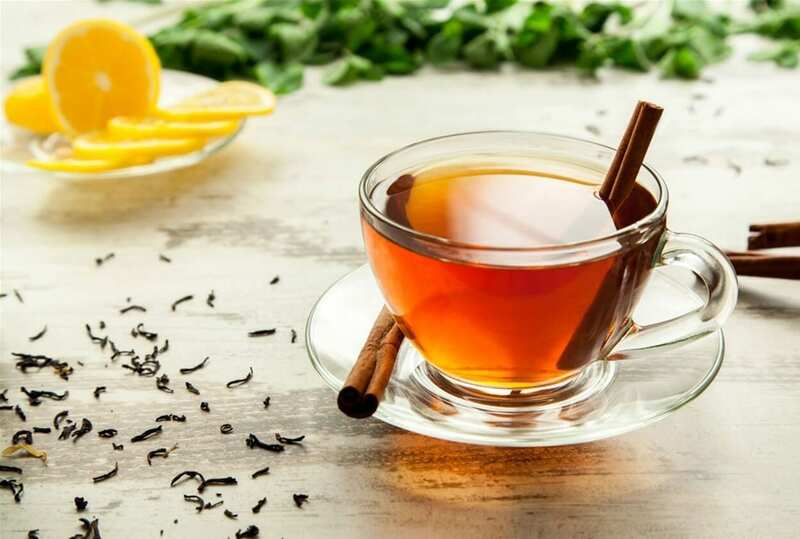 Start or end your day with at least one of these 5 healthy herbal (or root) teas to really reap the benefits of mother nature’s natural remedies. Along with the cleansing and delicious flavour, ginger is one of the healthiest spices in the world. It’s the perfect digestive aid, famous for calming upset stomachs and curbing nausea. 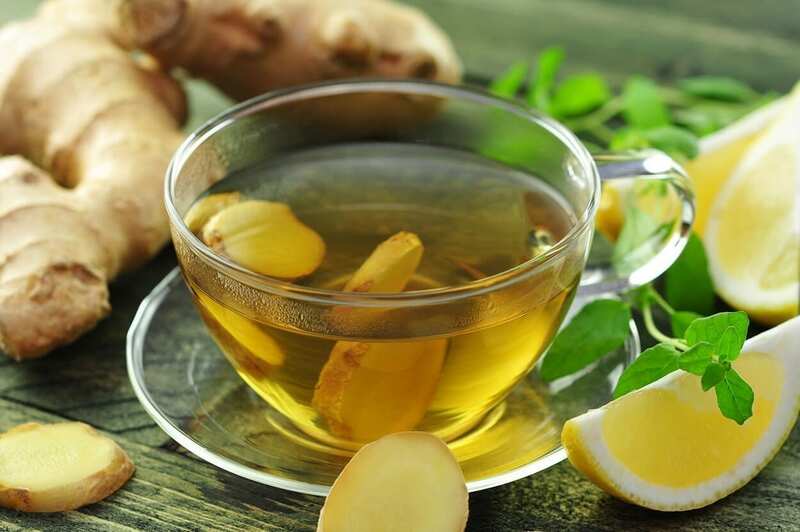 If you’re sick with the flu or a cold, freshly boiled ginger tea with a teaspoon of honey and a dash of fresh lemon juice is one of the best natural remedies available. It opens up the sinuses, reduces mucus, soothes the throat, helps get rid of bacteria and aids the digestive process. You can buy ginger powder or pre-made ginger tea, but the best way to have it is fresh! Wash, peel and slice a medium chunk of ginger root, place in a pot with water and let it simmer for a good 15 minutes. Use a sieve to catch any floaters and enjoy your hot cup of spicy goodness. 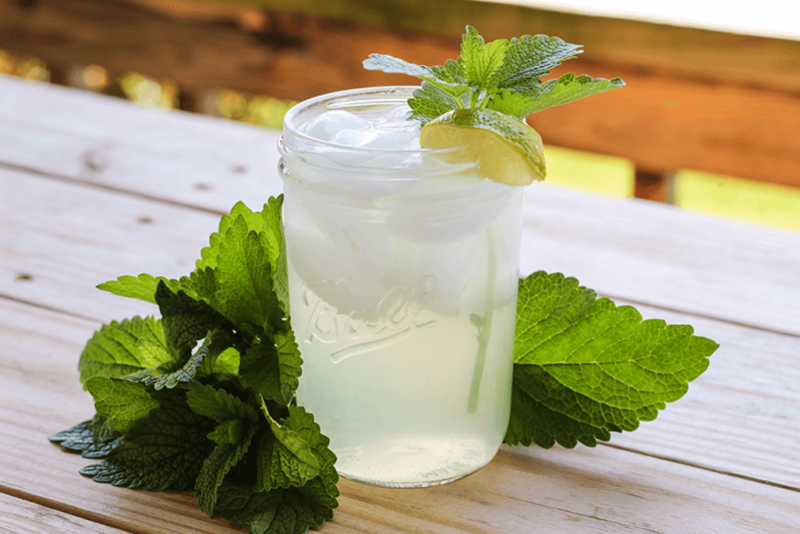 One of the most common herbal teas after chamomile, is popular peppermint. This herb is a pro at reliving abdominal gas, reducing muscle spasms and helping to stave off nausea. It’s an instant breath-freshener which combats bacteria in the mouth as well as neutralising existing odours. 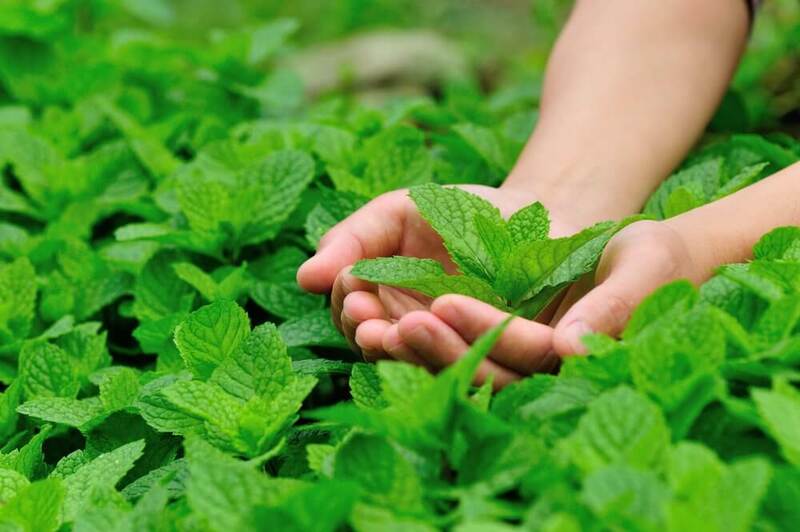 Making your own home-grown peppermint tea is of course the best way to enjoy it, as it eliminates the possibility of pesticides being present in the leaves. As far as kitchen herbs go, peppermint is by far the easiest to grow. But If herb-growing isn’t really your thing, then there’s plenty of great tea brands that provide organic options and other mint blends like this Pukka ‘3 mint’ tea blend. Cinnamon is one of those flavours that taste too good to be good for you. Turns out it’s extremely good for you. Rich in antioxidants that help keep cells disease-free, cinnamon also helps in controlling levels of bad cholesterol in the blood, as well as regulating blood sugar. Possessing powerful antiseptic properties, cinnamon is a great choice for keeping breath fresh and fighting a sore throat. Cinnamon also has the ability to improve digestion and eliminate gas in the intestines. So if you’re feeling a tad bloated, go for cinnamon! Another easy-to-grow kitchen counter addition. This cheerful herb is known to lift the spirits. Great for pushing out those “winter blues” feelings and improving concentration. It’s mild enough for children, and has been known to help keep away nightmares when taken before bed. Having a soothing cup of lemon balm tea is a great routine to incorporate into anyone’s bed-time ritual. You can even create a superb iced tea with this infusion, as well as a hot brew. For the perfect iced tea, add some fresh lemon juice and natural maple syrup for flavour. If you rely on a strong coffee to get the bowels going in the morning, then rose hip tea is your best alternative. Being a mild laxative, this antioxidant rich herb is great for kicking the digestive system into gear. 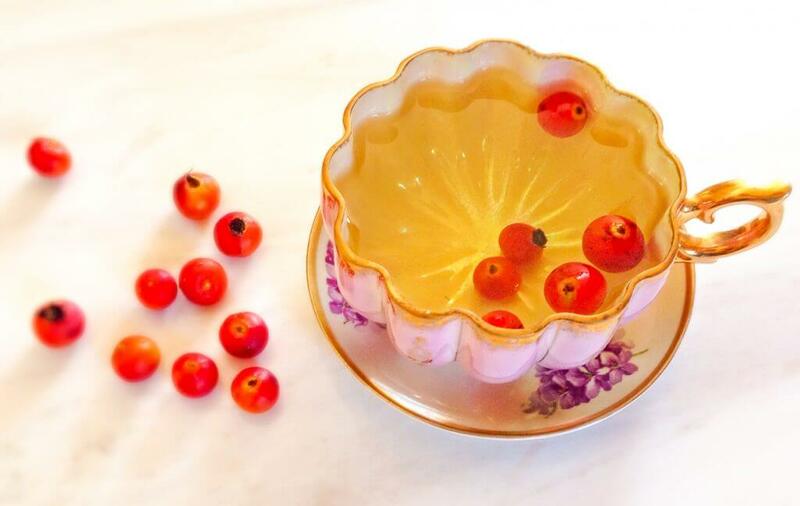 If you regularly get constipated, or feel you need a little aid to get things moving, then rose hip tea should be your go-to natural remedy! Rich in vitamin C, flavonoids and vitamin A, it beats coffee in every way! The best way to have this tea is by using the crushed, dried hips and pouring boiling water over a tea sieve full of them. This brew goes perfectly with half a teaspoon of organic cane sugar. Submerge yourself into the healing world of herbs, and become a qualified practitioner in the process! We offer an ‘entry-level’ and an ‘advanced’ herbalism course, so that students of all levels may gain a diploma in Herbalism. In this course you will discover the background of herbal medicine, healthy cooking with herbs, natural cosmetics, herbal tonics and vinegars, skin care and so much more. View our Herbalism Course here.